Craft. It’s a word that gets tossed around a lot. Finding the right pieces, selecting each ingredient and then combining them with no shortcuts. It is the difference between making a pot of coffee and crafting the perfect cup. That is what we do. We find the best ingredients and we take the time to make things right. It is a simple philosophy. Make the things you like, look for what makes you happy, then share it. It is just like in geocaching, if you hide the kinds of caches you enjoy finding, if you take the time to craft something special, you will find an audience. At Captain Rodney’s we’ve been Geocaching nearly as long as we’ve been making our all-natural sauces, jellies and jams. We are passionate about sharing our products and our adventures and we want to be a part of yours. To share your adventure with us, snap a photo and post it on Facebook or Twitter with the hashtag #CachingWithCaptainRodneys #contest. 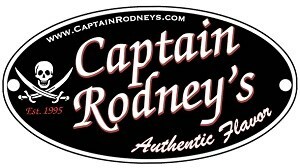 We will pick the 25 pictures that best capture the spirit of adventure and exploration for a Captain Rodney’s Prize Pack! Learn more about the geocaching promotion here. “Captain Rodney’s Great American Treasure Hunt” is solely sponsored by Bell Buckle Country Store, Farmington, TN. Open only to legal residents of the 50 United States and D.C. who are age 18 or older and of the legal age of majority. Contest entry period runs from 5/20/2017 to 10/30/2017. No purchase necessary. Void where prohibited. For full Official Rules and entry information, visit www.geocaching.com/captainrodneys. Use TB8DBAM to reference this item. I would like to travel the world and see the oceans.